This is the baking season. We have holidays coming, the weather is cool enough to do it, and the extra warmth in the kitchen isn’t the problem it is all summer. That means its the perfect time to bake some buns or rolls for dinner. It would also make a great gift for any baker or budding baker in your life. It’s also the reason behind me releasing a cookbook featuring just buns and rolls. Delicious ones too, including Cajun Red Bean Buns. Sound intriguing? They are DELICIOUS! They also are made with a can of Creole Style Red Beans right in the dough, along with some seasoning mix and Tabasco, giving them a real flavor punch that kicks up a plain burger or pulled pork sandwich up several notches. It’s currently available in Kindle format with a list price of $3.99, and should be available as a paperback for $7.99 by the end of the week. If anyone wants an autographed copy, they can email me at giascott(at)exogenynetwork.com and we’ll see about getting one to you too. Otherwise, you can get a copy at http://bit.ly/GiaBooks for either your Kindle or in print. 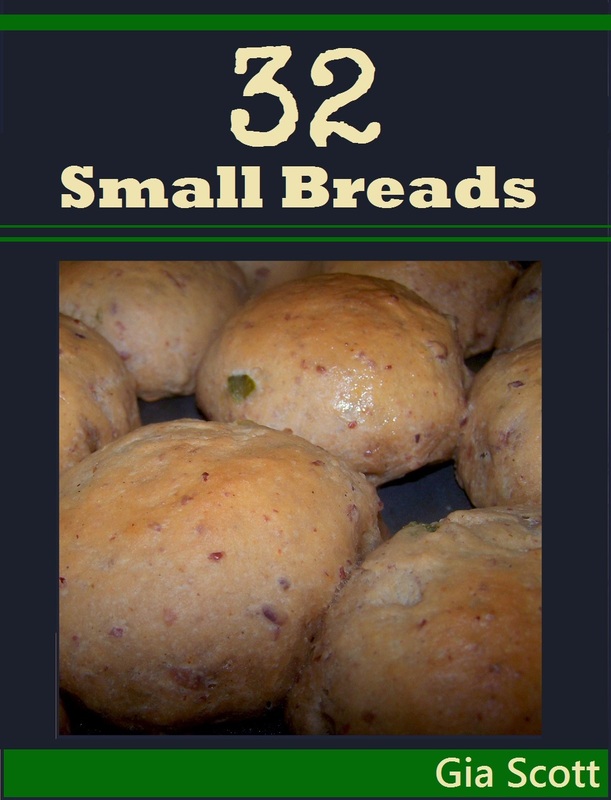 This entry was posted in Breads, Cookbooks, Easy, Recipes, Shopping and tagged 32 small breads, bread, cookbook, easy, family, gia scott, holiday, recipe, recipes. Bookmark the permalink.